Home to the world’s last remaining mountain gorillas, the Virunga Volcanoes are shared between the DRC, Uganda and Rwanda but it is in the forests of Rwanda’s Volcanoes National Park that you find the easiest, safest and most reliable gorilla trekking. A Volcanoes gorilla safari is both rewarding and accessible. 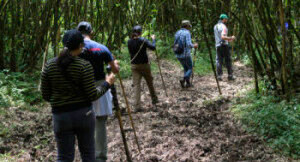 Expert trackers go ahead of you to locate the gorillas while local guides share their wealth of information with you as you hike through the forest. The success rate of finding a habituated gorilla family is 90%, and you spend a precious, privileged hour in their company, observing familiar patterns of behaviour as family members socialise, play and argue with one other. 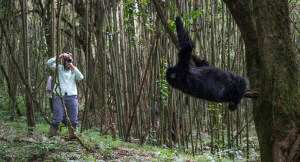 It’s relatively easy to go gorilla trekking in Volcanoes National Park too. You fly into the capital Kigali and since the park is only about 100 kilometres (60 miles) away, you can either transfer there directly or spend a pleasant night in Africa’s cleanest – and by all accounts – safest capital city before travelling to the park for your gorilla safari the following day. There are several lodges set around the Volcanoes National Park, obviously focused on gorilla safaris but also designed to deliver a more holistic experience in the rainforest. They offer guided walks through the forest to search for other primates and small mammals as well as birds and butterflies. You can visit local communities to experience the human perspective of the environment, or explore under your own steam by mountain bike or on a hiking trail. Back at your lodge there is plenty of comfort after a day in the rainforest. Our top Volcanoes gorilla lodges include a post-trek massage as part of the service and your suite comes with a deep bath and fireplace. 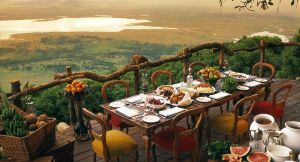 There are honeymoon-perfect suites as well as larger family units, and you’ll sit down to hearty home-cooked meals to the sounds of Rwandan traditional song and dance. And a Volcanoes gorilla safari works well with other African safari and beach destinations. Kigali connects to the continent’s major travel hubs such as Nairobi and Johannesburg so you can combine your gorilla trek with, for example, a big game safari in Tanzania or a beach holiday in Kenya or Zanzibar. 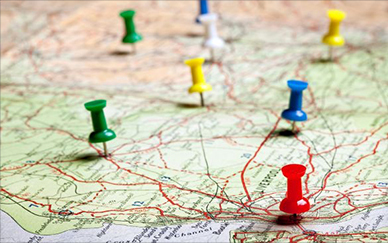 Browse our recommended Itinerary Ideas or simply contact us with your requirements and we’ll recommend an itinerary or will tailor-make one for you. It’s one of the world’s biggest & most exclusive wildlife experiences & since there are no more than a thousand or so mountain gorillas left in the wild, your gorilla trek directly contributes to their continued survival in the Volcanoes National Park. Take some time to walk the jungle trails with a sharp-eyed guide & you’ll see other primates in the rainforest too, perhaps including the rare golden monkey, at home in the bamboo forests at the base of the volcanoes. 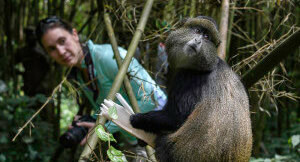 Meeting the locals gives you a chance to find out a little more about life in the equatorial rainforests. 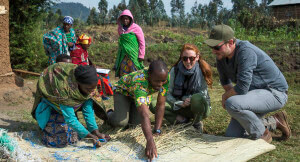 Guided tours to local communities enable you to meet & interact with ordinary Rwandans as well as to contribute to economic projects and conservation programmes. Our recommended accommodations also provide the base for you to explore by mountain bike or on a hiking trail. There are short trails bursting with bio-diversity while more experienced hikers could walk to Dian Fossey’s old ‘Gorillas in the Mist’ research camp & her final resting place. With around 200 bird species on record, the Volcanoes National Park is a rewarding bird watching destination, not least for birders keen to see a few Albertine Rift endemics, of which 13 occur in the park. 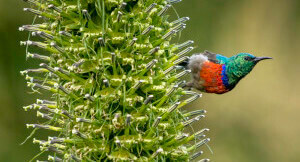 There’s easy birding around the lodge but take a guide into the forest for the more elusive ones.